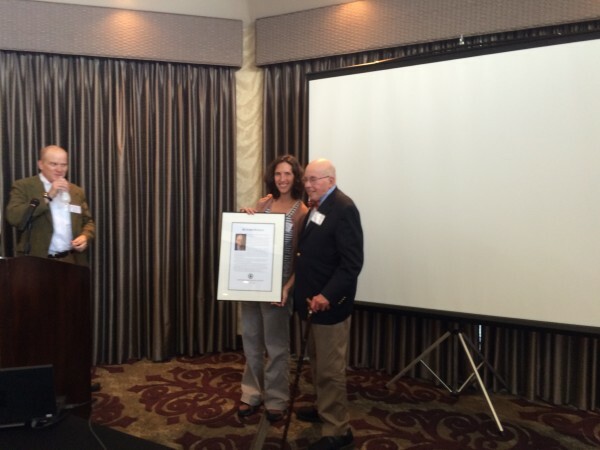 Retired journalist Richard Dudman (right) is presented with a plaque by Maine Press Association President Kelly Morgan during his induction into the MPA Hall of Fame on Saturday in Auburn. Looking on is BDN reporter Bill Trotter, who introduced Dudman. AUBURN, Maine — The Maine Press Association inducted two new members to its Hall of Fame on Saturday during the association’s fall conference. The inductees were the late Robert Crocker, a longtime Associated Press state house reporter, and Richard Dudman, a retired St. Louis Post Dispatch correspondent and editorial writer for the Bangor Daily News. Dudman, 96, worked for 31 years for the St. Louis Post-Dispatch covering the Vietnam war, Washington, and foreign affairs. He covered the takeover of Cuba by Fidel Castro, the assassination of President John F. Kennedy, the Bay of Pigs invasion, and Watergate, among many other stories of note. He retired from the St. Louis paper in 1981 and moved to the Ellsworth area where from 2000 to 2012, he wrote more than 1,000 editorials for the Bangor Daily News. “He had a career that no journalist will ever have again,” said Bangor Daily News reporter Bill Trotter, who introduced Dudman at the induction luncheon at the Hilton Garden Inn. Trotter noted that Dudman covered the assassination of President Kennedy in 1963, and on his last day as Washington Bureau Chief, covered the shooting of President Ronald Reagan. In between Dudman was captured in Cambodia while covering the Vietnam war and held for 40 days; was put on President Nixon’s enemies list for seeking a copy of the Pentagon papers, and interviewed Khmer Rouge leader Pol Pot in Cambodia. Dudman shared a “mistake” he made during his career with those in attendance, noting that an interpretive article he wrote at the end of the Vietnam war categorized it as a “humiliating defeat” and a tragedy. “It was not a tragedy. It was good news to have the war end at last,” he said. Dudman earned the George Polk career award in 1993, the New York Press Club’s award for best reporting from Asia, and the Edward Weintal award for diplomatic reporting. 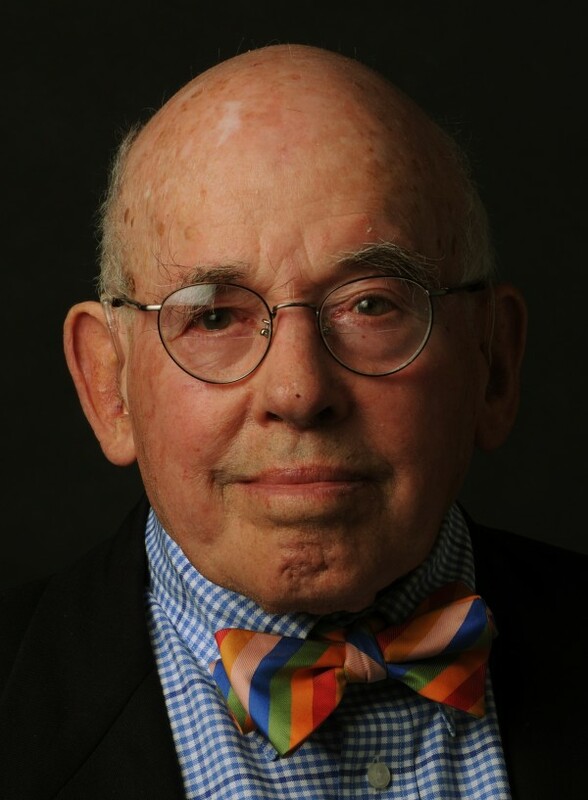 He is the eighth MPA Hall of Fame inductee with ties to the Bangor Daily News. Crocker was inducted posthumously for his career as Maine State House correspondent for The Associated Press from 1947 to 1969. He also worked as a reporter for the Lewiston Evening Journal and the Worcester (Massachusetts) Evening Gazette. Crocker filed thousands of stories while covering the State House. In 1969, he was elected Secretary-Treasurer of the American Newspaper Guild in Washington.